Claire Boonstra is Founder of Operation Education, a rapidly growing non-profit organization enabling a radical transition in the way society approaches education. 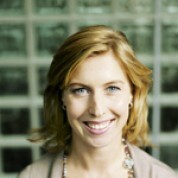 She is also Co-Founder of Layar, the global market leader in augmented reality and interactive print. Before becoming an entrepreneur, she pursued a corporate career with KPN and Unilever. Boonstra has received various awards as an entrepreneur and innovator and has frequently been listed as one of the most influential women in technology. In 2011, she was nominated as a World Economic Forum Technology Pioneer. Boonstra is regularly asked to be a keynote speaker, judge and adviser. She holds an MSc in Civil Engineering.